Here are some of the wines I drank at home when I was back in Tokyo earlier in March. 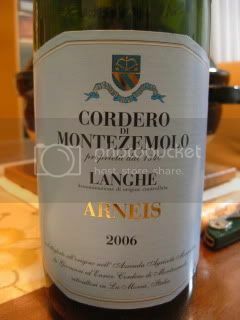 2006 Cordero di Montezemolo, Langhe Arneis...aromatic with the dry finish. Still tasting very fresh for 5-year-old Arneis. 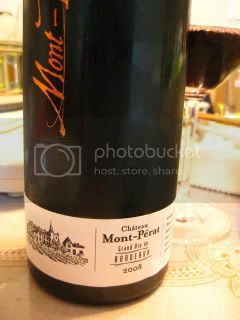 2008 Chateau Mont-Perat, Premier Cotes de Bordeaux...This wine has become extremely popular after it was introduced in "Kami no Shizuku" (Japanese comic about a sommelier). 80% Merlot, 10% CS, 10% CF. Aged in 100% new barrique. Extremely rich and juicy. Distinctive but soft tannins. After 20-30 minutes in the glass, the wine has opened up really nicely with ripe cherry and berries. 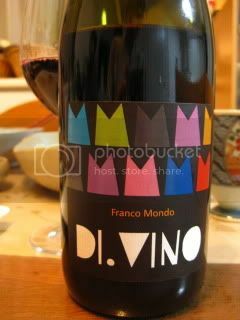 2008 Franco Mondo, Monferrato Rosso...also from Piemonte. Great value wine with Barbera (70%) and CS (30%). Medium body. Refreshing acidity with fresh raspberries and black berries. 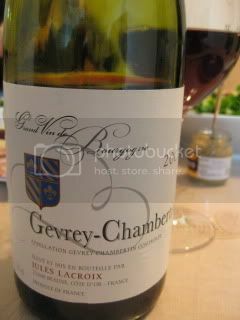 2009 Julies Lacroix, Gevrey-Chambertin...Aged for 12 months in French oak (20% new). Charming medium body. Tea smoke, earthy, berries. 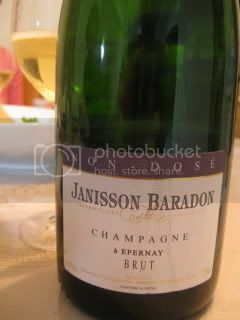 NV Janisson Baradon, Champagne Brut, Non-Dose (Epernay)...Gorgeously bone-dry Champagne. 50/50 Chard and PN. 30% were aged in used French oak from Bourgogne. 50-60 months sur lie in the bottle. VV (average 30 years old). They have the same enologue as Jacque Selosse's. Blend from 2002 (70%) and 2001 (30%) vingates. Brioche, spice, outstanding minerality. Very fine mousse. Rich palate and long finish. 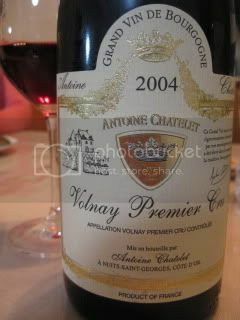 2004 Antoine Chatelet, Volnay 1er cru...Nice minerally character of Volnay. 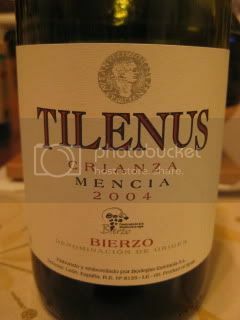 2004 Bodegas Estefania, Tilenus, Mencia Crianza (DO Bierzo)...Bierzo has become a "hot" appellation in the past 5 years or so. Grapes are from average 60-yr-old vines. Aged in French oak (mostly new?) for 11 months. Beautiful balance. Crushed dark berries and chocolate. 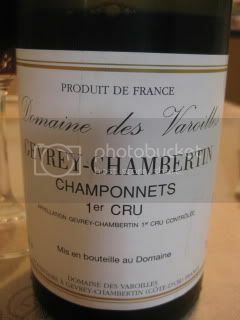 2001 Domaine des Varoilles, Gevrey-Chambertin, 1er cru "Champonnets"...Aged nicely. Developed aroma of mushroom, herbs, and soil. Smooth palate. Very nice minerality.